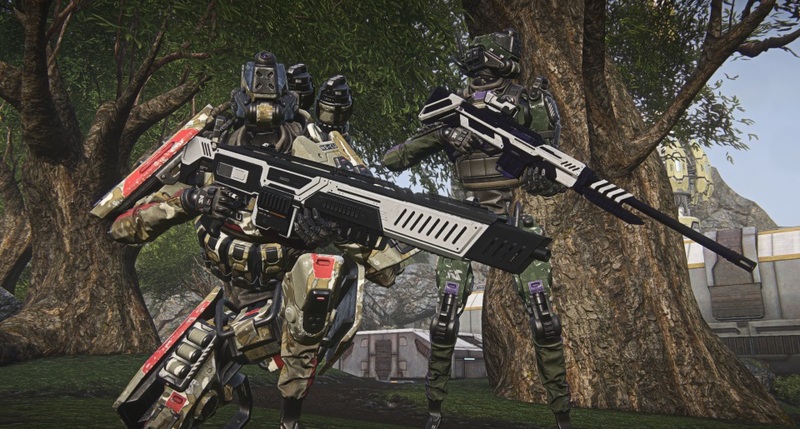 Daybreak celebrated the 6th year of their MMO shooter PlanetSide 2 today with an anniversary livestream that was also used to announce a new mercenary faction – Nanite Systems Operatives. Each time an Operative enters a new zone or continent, they will be put on assignment for the empire that has the least number of soldiers on the field. This will help ensure that populations will be more balanced in battle. The video reveals that these robotic NS Operatives will be for members only, and will only have access to common pool weapons. Operatives will auto join the lowest population faction (and display appropriate colors on their metal bodies) every time they enter a new continent – as a new mechanic to assist with player faction balance. They are now available on the Public Test Server, with scheduled playtests (and rewards for participation) to reportedly occur soon.